If you couldn’t make last night’s “06880” blog party, I understand. We competed with the Senior Center lobster dinner, and the Chamber of Commerce after-hours social. Plenty of readers are on vacation. Others live far away. But the 120 or so folks who made it to Compo Beach last night had a great time. Politicians, candidates and commission members (even the P&Z — thanks for canceling your meeting!) 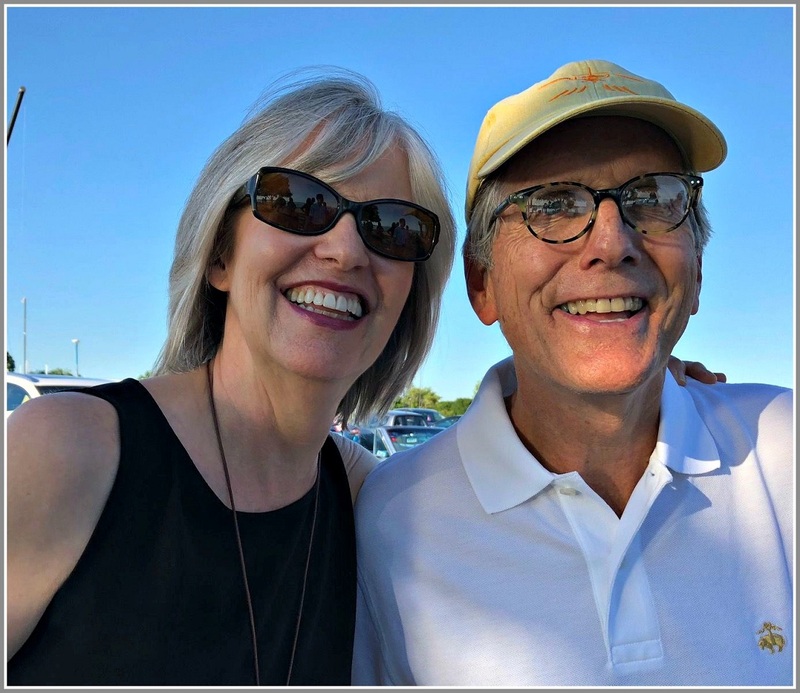 mingled with artists, bankers, retirees, stay-at-home moms and dads, teachers, lawyers and local merchants (thanks, Julie, for repping Savannah Bee Company!). Special thanks go to Westport’s Parks & Rec beach crew, who went waaaay out of their way to be helpful, warm and welcoming. We ate. We drank. We chatted about everything except politics. We watched the sun set. We realized how grateful we are to live in Westport — or to have some ties to it. See you at next year’s bash! 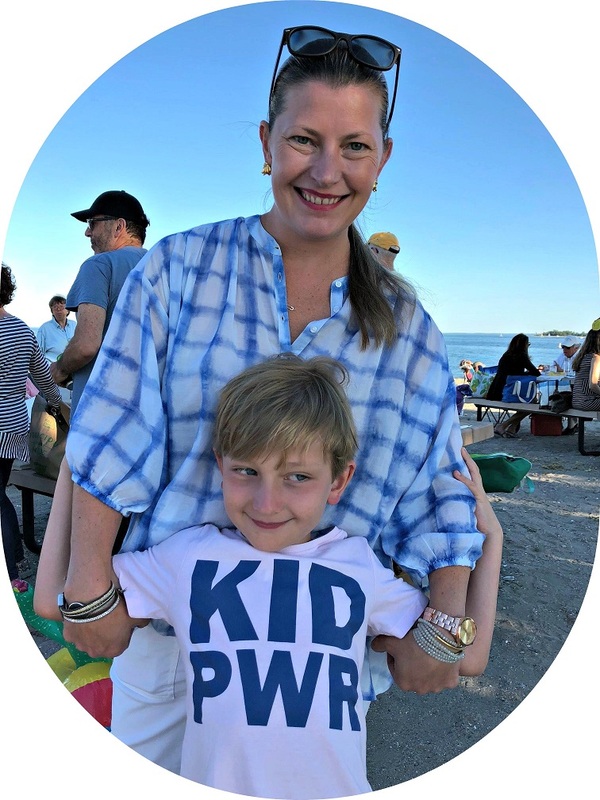 Nicole Klein and her son Carter came to their first “06880” party 5 years ago, just 3 weeks after moving to Westport. They’ve been regulars ever since. 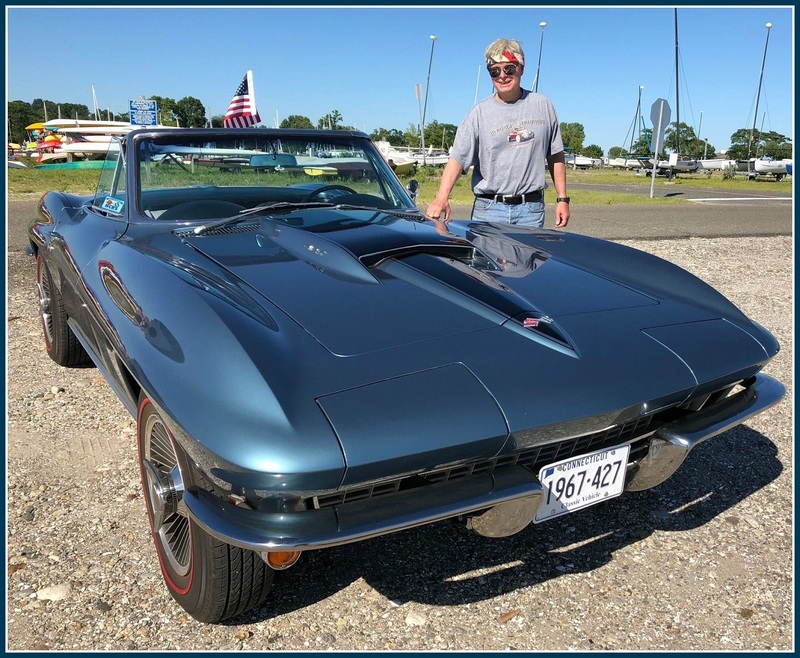 Sean Byrnes’ 1967 Corvette — a true 427, as the license plate notes — was a huge hit. Author Prill Boyle and Homes with Hope CEO Jeff Wieser mixed and mingled. Former Westporter Bonnie Bradley — whose family lived near Compo for many generations — came from Roxbury for the “06880” party. 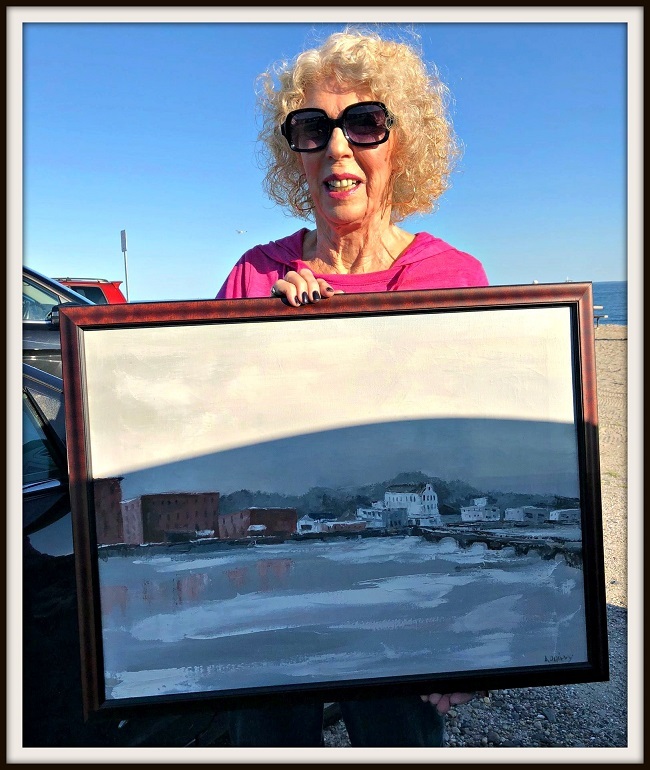 She brought a special gift: This painting of the Saugatuck River and National Hall. 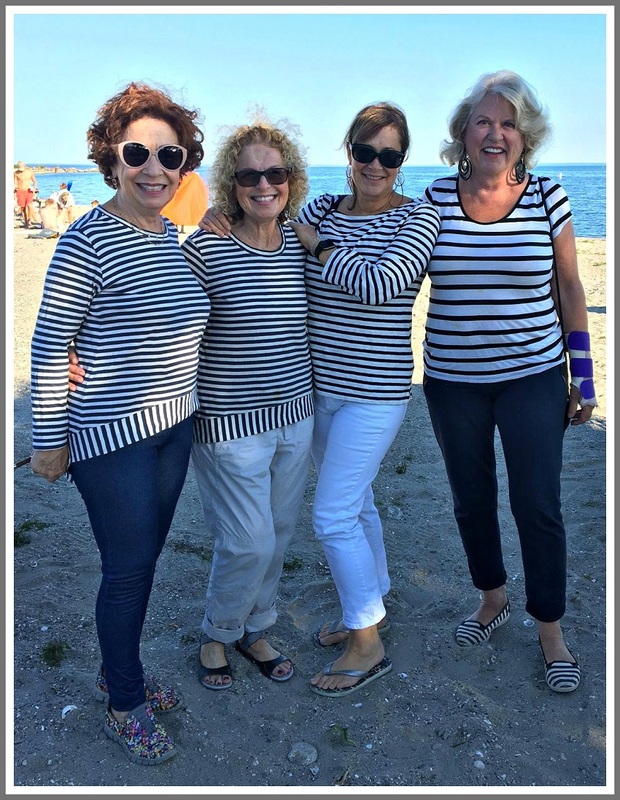 This entry was posted in Beach, Media, People, Westport life and tagged "06880" blog party, Bonnie Bradley, Jeff Wieser, Prill Boyle. Bookmark the permalink. Dan, I love the 06880 hat! 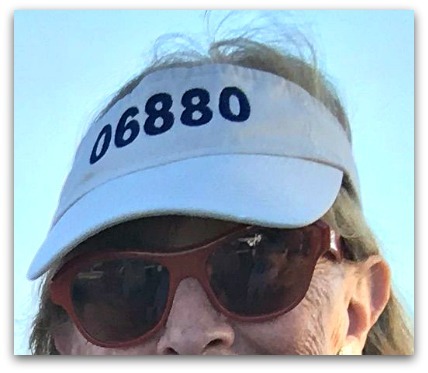 “Make 06880 Great Again” How can I get an 06880 hat? I’d trade my ocean front condo, in Palm Beach, on the same street as Mar-a-Lago, for the license and patent for that hat! Not sure where it came from. Try Indulge by Mersene and/or Savvy + Grace! Thanks for throwing a great party. 06880 hats and visors are available at the Westport Historical Society, 25 Avery Place, Westport 06880. Dan…I’m so glad you had good weather and a good turnout! No way I could make it…hopefully next year! Thanks, Dave. People definitely came and went — great to see ’em all! I’m so glad you and Carter were there. Bring Freddy next time! “i gots to know”………………was there a Nancy Hunter pinata? Or at the very least an effigy burning? Dan — I had a wonderful time last night. I met old friends, made some new friends, spoke to people I hadn’t seen in ages — all in a beautiful setting. And you couldn’t have had better weather. Thanks so much for doing this, and also for arranging my ride with some lovely people. I’m looking forward to next year! Thanks, Bobbie, for being there. “06880” loves you! Another Great party- thank you Dan! Thanks for coming – and for some great conversation!